This year’s Homecoming founder infused his leadership and funds into Brigham Young Academy. At the time, Smoot lived in Salt Lake City, where he had served as mayor for 10 years. He had no personal desire to relocate to Provo or Texas (or Hell, for that matter). For Smoot, however, there was no choice other than to follow the counsel of the prophet and do what he had been called to do. A strong sense of duty was part of his nature. Smoot’s legacy would be largely defined by his time in Provo, where he would help establish and ultimately save Brigham Young Academy. During Homecoming 2015 BYU will honor him as a founder. Homecoming’s theme, Make Your Mark, hearkens back to Smoot’s efforts to sustain the academy. “He made his mark in dramatic fashion by financing the physical structure of the academy and also advocating for the goals and mission of BYU,” says John C. Lewis (BA ’77, MBA ’79), former associate advancement vice president. Undaunted, powerful, and immovable are words contemporaries used to describe Smoot’s character. Orson F. Whitney, Smoot’s son-in-law, noted, “There was a dignity to his presence, a rugged grandeur that made him a striking personality wherever he appeared. When he spoke, men listened.”² Smoot served in many leadership positions throughout his life, including as branch president, pioneer captain, and mayor. Smoot grew stronger spiritually and socially as well. Just two months after his baptism, he was ordained a deacon and promptly called to be the leader of his local branch. During this time Smoot met the future fourth President of the Church, Wilford Woodruff. The two became fast friends and later mission companions when Woodruff called Smoot to preach with him in Tennessee and Kentucky, the first of nine missions that Smoot served. Smoot and Woodruff ended their mission in Ohio, where they enrolled at Kirtland High School to study Greek and Latin. Though he attended for only two months, the 21-year-old Smoot developed a love for learning that would become important later in his life. 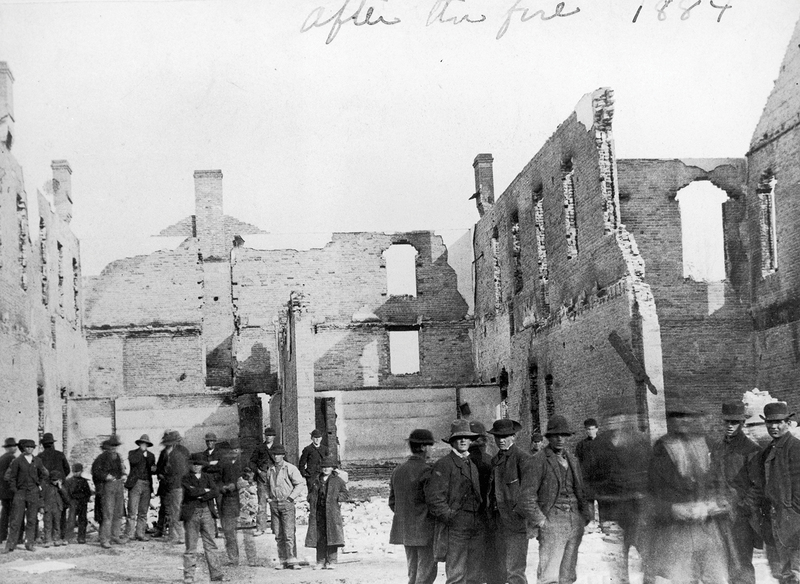 Over the next few years, Smoot led a company of Saints to Far West, Mo., and continued to serve as a missionary there until the city fell under the control of a mob and the state militia. Smoot surrendered and was taken prisoner, but while in captivity he married Margaret Adkinson, one of the women he had led to Far West. Margaret was a great companion throughout Smoot’s life, and he described her as “devoted to her religion and ready to sacrifice or endure anything to further its interests.”⁵ After he started practicing polygamy, he would eventually marry five additional women. In 1847 Smoot led a company of 120 wagons to Salt Lake City, where he was elected mayor in 1856. Smoot was also part of the first high council in the Salt Lake area and acted as Utah’s first justice of peace. It was during this time of expanding influence for Smoot that Brigham Young called him to uproot his home and settle in Provo—a rough, disorganized place that needed a leader. After he was elected mayor of the town, Smoot attempted to rid Provo of problems such as drinking, gambling, and vagrancy. In government, business, and church endeavors, Smoot quickly established himself as an integral figure in almost every aspect of Provo life. In business Smoot served as president of multiple companies and helped organize two banks in Provo. 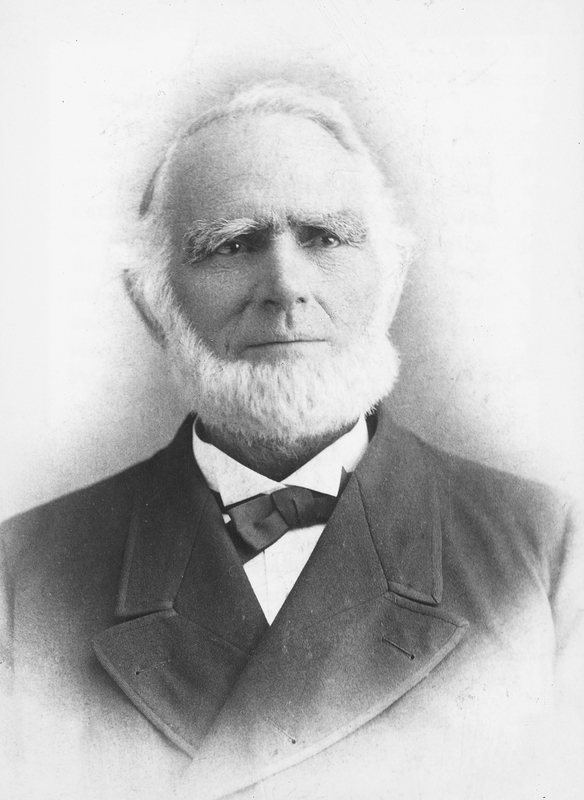 With his financial success, Smoot directed the construction of several Provo roads and helped complete the Utah Southern Railroad. “He made major contributions in this valley . . . that are unrivaled,” says L. Douglas Smoot (BS ’57), Smoot’s great-grandson and coauthor of Abraham Owen Smoot: A Testament of His Life. After Brigham Young’s death in 1877, Smoot acquired another role, this time as an advocate for Brigham Young Academy (BYA). 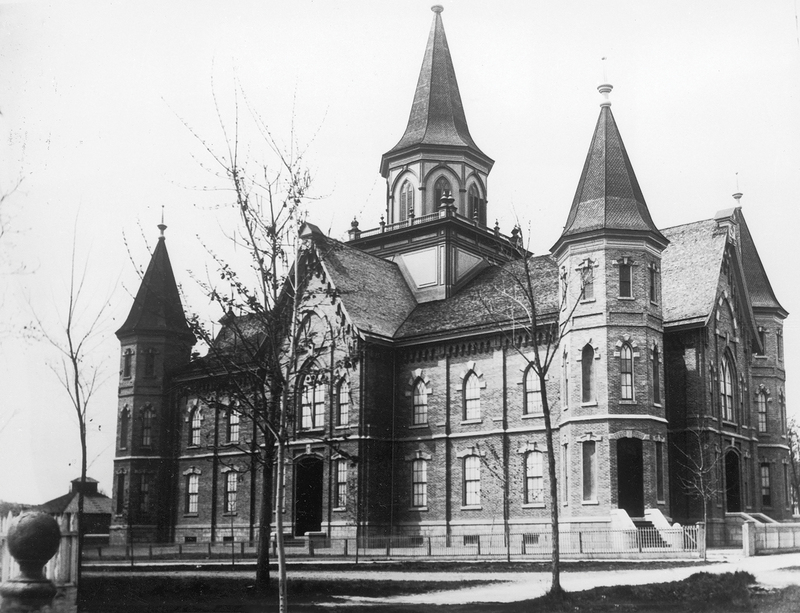 When Karl G. Maeser was appointed principal of BYA in 1876, he was disappointed to find the “premises inadequate, facilities limited, students few in number, and financial conditions exceedingly discouraging.”⁷ As head of the board of trustees, Smoot rallied Provo citizens to support the academy. And he joined in the efforts, donating funds from his own pocket. Under Smoot’s leadership, school membership increased from 70 students to 313. Then, just when it seemed as if BYA was making steady progress and on the verge of financial stability, disaster struck. But as was his nature, Smoot remained undaunted and committed to the school. The morning after the fire, he met with the BYA Board of Trustees, who made arrangements for classes to continue without delay. Smoot allocated the second floor of a bank he owned for classes, which resumed with only one day’s loss. Over the next several years, BYA encountered many more obstacles, most of them financial. By 1892 BYA was between $75,000 and $85,000 in debt. While many considered the academy a lost cause, Smoot never gave up on the school. Even with his own bank failing, he offered land, donated money, and, as a stake president, fervently invited members of the Church to give of their means. 1. C. Elliott Berlin, “Abraham Owen Smoot: Pioneer Mormon Leader,” master’s thesis (BYU, 1955), p. 88. 2. Orson F. Whitney, History of Utah, Vol. IV (Salt Lake City: George Q. Cannon & Sons, 1904), p. 98. 3. A. O. Smoot, “Early Experience of A. O. Smoot,” Early Scenes in Church History, Eighth Book of the Faith-Promoting Series (Salt Lake City: Juvenile Instructor Office, 1882), p. 18. 7. Karl G. Maeser, “A Retrospect,” The Normal 1, no. 9 (Jan. 4, 1892): p. 67. 8. “President A. O. Smoot,” The Young Woman’s Journal 3, no. 10 (July 1892): p. 436. 9. Loretta D. Nixon and L. Douglas Smoot, Abraham Owen Smoot: A Testament of His Life (Provo: BYU Press, 1994), pp. 247–48.